We braved the rain today to make our way to Winchester. You might remember my trip there last time with my colleagues but this time I was there with my sister. The original plan was to go to Calshot Castle but the irregular bus and bad weather influenced the change of plans. 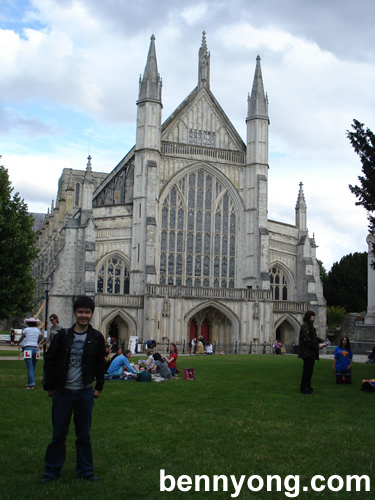 Roughly fifty minutes via the bumpy double decker bus ride on the BlueStar Bus No 1, we found ourselves in the city center of Winchester. 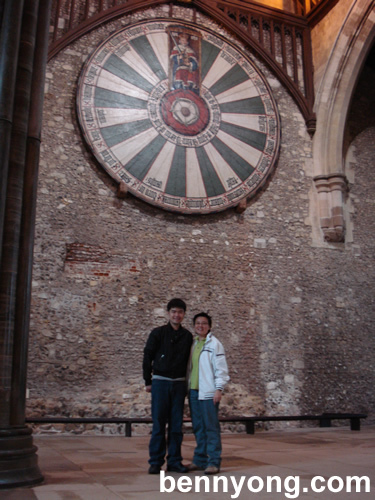 We did the most obvious thing by visiting the Great Hall to view the legendary King Arthur's Round Table. This return trip turn out to be interesting when I visited the City Museum. 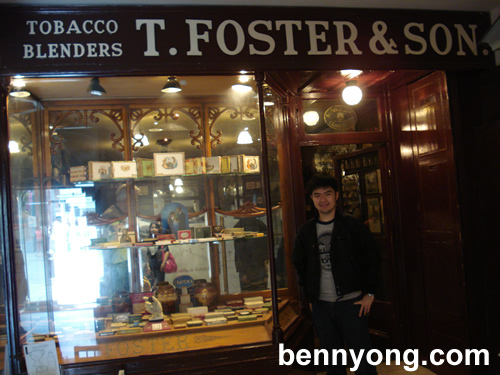 We were randomly approached by the curator which invited us to meet him downstairs to access the usually locked tobacco store. I learned something new today that this store was moved from its original spot when the owner has passed away. The furniture and stock was carefully relocated to the ground floor of the museum. 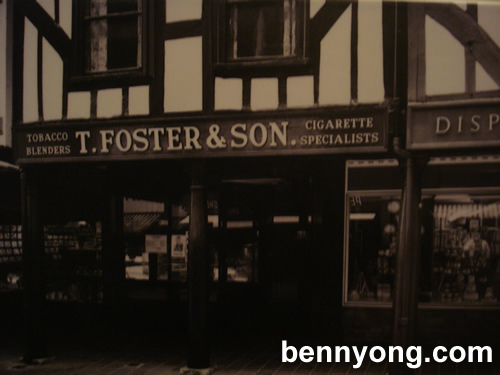 The below picture shows the store in the original spot. 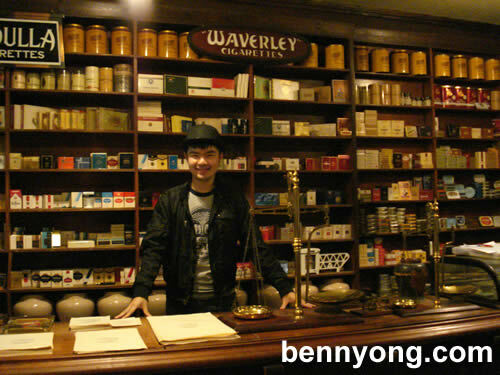 I took ages browsing through the contents of the shelf which had tons of tobacco brands. I even managed to squeeze in a quick photo opportunity as the store keeper. Next to the museum is the compound of the cathedral. It is nice to see the whole facade of the building without being obstructed with preservation works like when I was previously there. After lunch, we decided to walk towards a statue we can see at the other end of the high street. 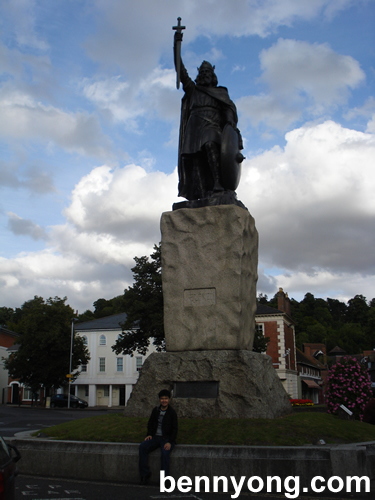 It was King Alfred The Great standing proudly overlooking the city that he restored and made the capital. There was a very nice park located next to the street and a mill just after the statue. We continued on with taking a stroll along a stream and eventually called it a day. That's all from me now. Till my next post, take it easy! So Many Boobies in One Night! I Was Rich And I Did Not Knew About It!